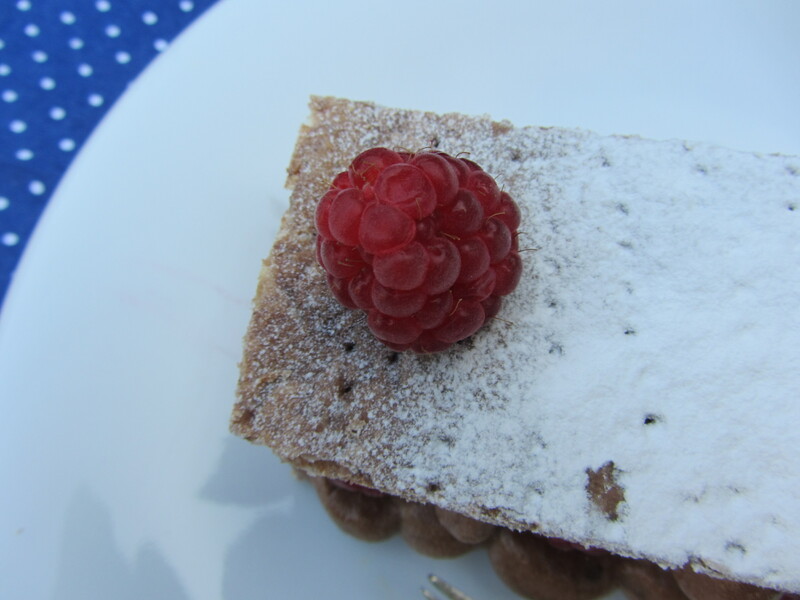 July 14th deserves a pretty French patisserie recipe, made friendly of course! Mille feuille (don’t make me try and pronounce this, I seem to be genetically unable to make it sound as it should), or ‘a thousand leaves’, is an ultimately elegant patisserie with fruit and pastry cream sandwiched between fine puff pastry sheets. 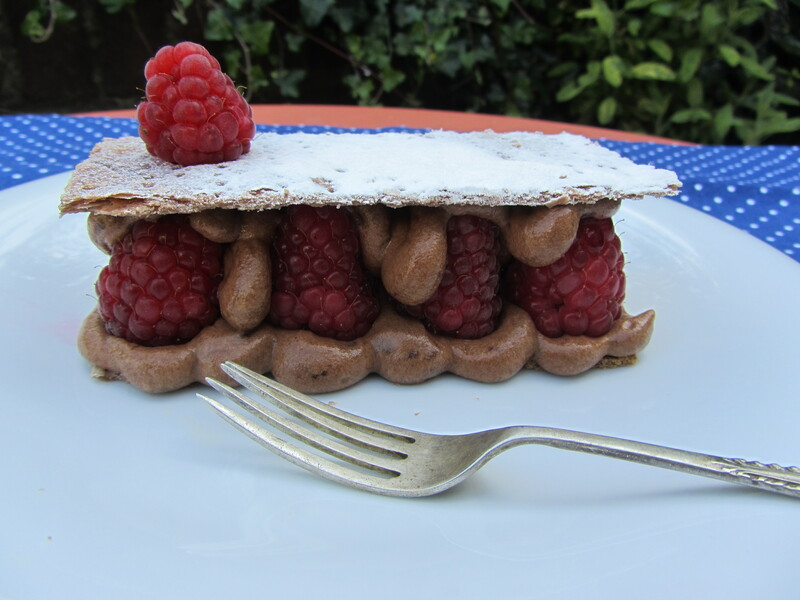 This version, inspired by a recipe in by Eric Lanlard in Cook Vegetarian magazine features cocoa scented pastry, chocolate mousse filling and ripe raspberries. Happy Bastille Day! – Roll out the pastry into a neat rectangle. -Dust with cocoa powder, bring each end into the centre and roll out again. – Bake for 10-15 minutes. Then remove the top baking sheet and the greaseproof. – Return to the oven for another 5-10 minutes, until starting to turn golden. Cool. – Fold in the melted chocolate. – Cut out 8 or 10 even rectangles of pastry with a pizza wheel. – Pipe or spread a layer of chocolate mousse onto half of the rectangles. – Arrange the raspberries on top. 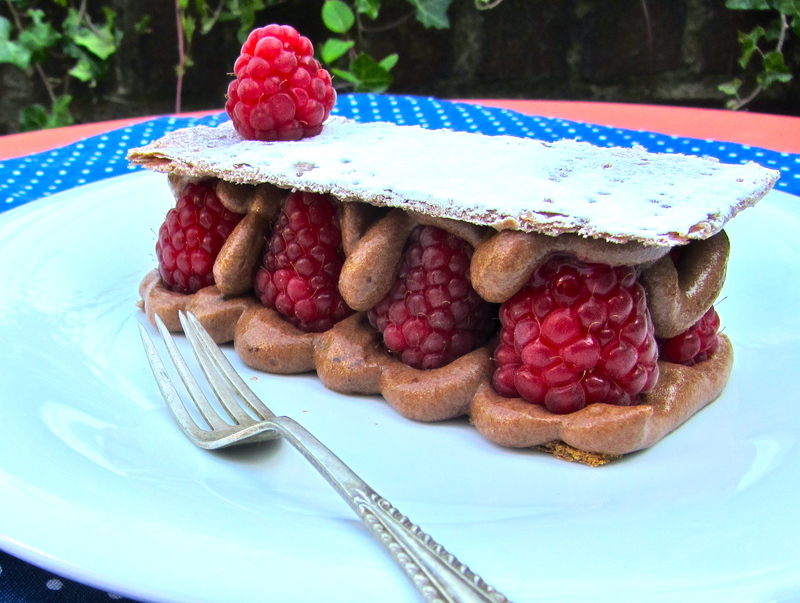 – Cover with another layer of chocolate mousse. 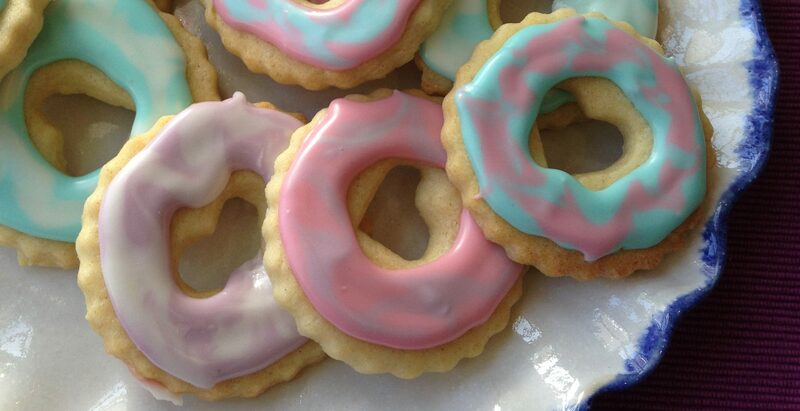 – Dust the remaining rectangles of pastry with icing sugar and place on top. Lucy, this looks wonderful! And so classy.